In the RETSINA multi-agent system, each agent is provided with an internal planning component—HITaP. Each agent, using its internal planner, formulates detailed plans and executes them to achieve local and global goals. Knowledge of the domain is distributed among the agents, therefore each agent has only partial knowledge of the state of the world. Furthermore, the domain changes dynamically, therefore the knowledge available might become obsolete. To deal with these issues, each agent’s planner allows it to interleave planning and execution of information gathering actions, to overcome its partial knowledge of the domain and acquire information needed to complete and execute its plans. Information necessary for an agent’s local plan can be acquired through cooperation by the local planner firing queries to other agents and monitoring for their results. In addition, the local planner deals with the dynamism of the domain by monitoring it to detect changes that can affect plan construction and execution. Teams of agents, each of which incorporates a local RETSINA planner have been implemented. 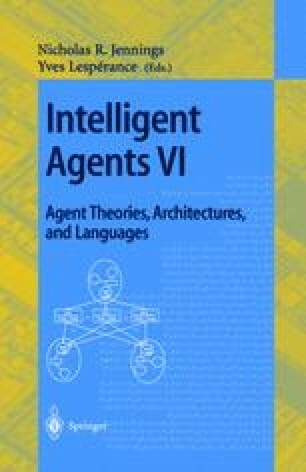 These agents cooperate to solve problems in different domains that range from portfolio management to command and control decision support systems.